This entry was posted on June 24, 2014 by Scott Ridl. All cells in the human body need oxygen to survive. In order for cells to get the oxygen they require, it must be transported via the airways that make up the respiratory system. Normally, the lungs absorb a satisfactory amount of oxygen from the room air, alone; however, some conditions and diseases can prevent enough oxygen from being absorbed by the lungs. In the majority of these situations, the airways are blocked either from mucus or a physical narrowing. This constriction prevents adequate air from reaching the alveoli, otherwise referred to as air sacs. These alveoli in the lungs are necessary to deliver the required oxygen to the cells. Oxygen therapy will help you receive that additional oxygen your body needs in order for it to function at a healthy level and permit an increased physical activity. • Increase the longevity of people suffering from Chronic Obstructive Pulmonary Disease (COPD). • From insertion of a small tube in your windpipe through a small incision in your neck made by your doctor. This is known as transtracheal oxygen therapy. You can receive oxygen therapy in a hospital, medical environment or while at home or traveling. 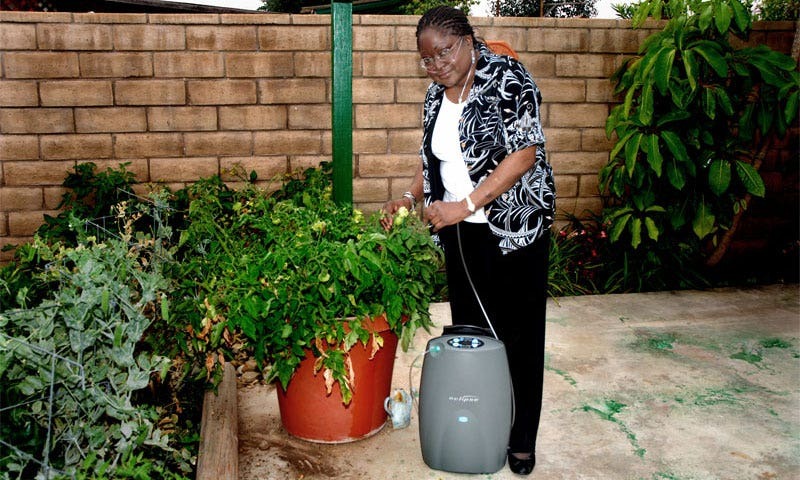 An oxygen concentrator is a device that mixes a high concentration of oxygen with ambient (atmospheric) room air, to supply the patient with elevated levels of breathable oxygen. Atmospheric air, at normal barometric pressures, is composed of 21% oxygen. An oxygen concentrator has a miniaturized air compressor that pressurizes and pushes this atmospheric air through a chemical filtering system known as molecular sieves. A portion of the resulting O2 is delivered to the patient while the remainder of the gas is sent back to the sieves to remove any accumulated nitrogen, thus preparing for the next cycle. The result of this process is a consistent supply of medical grade oxygen of up to 90%. 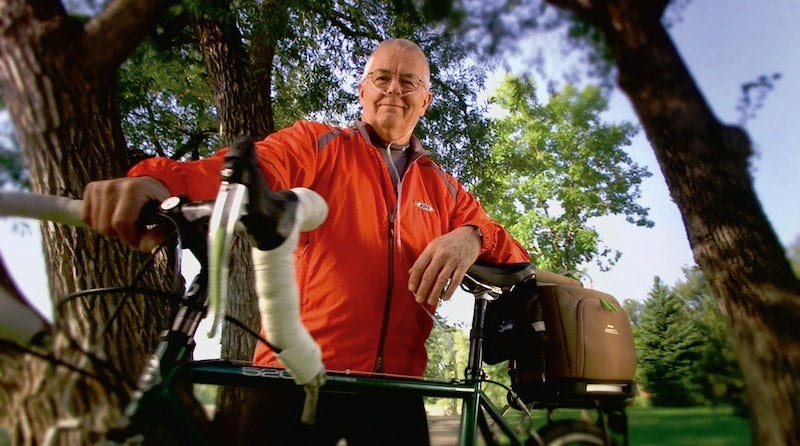 Portable oxygen concentrators were developed decades ago, but were cumbersome and unreliable. POCs mechanically function the same way stationary concentrators do, by filtration and converting oxygen that occurs in room air into greater concentration levels. Where the difference occurs is that they are smaller in size and are more suitable for travel. They are lightweight enough to move freely and compact enough to be taken in a car, bus or plane. Advances in design have transformed POCs from the bulky size they were previously, to the lightweight units that are no bigger than a child’s lunchbox. The reason behind this size shift can be credited to the new on-demand system. This on-demand design allows for the concentrator mechanism to be comprised of smaller components. This newer system keeps any wasted oxygen to a minimum by having the POC work in conjunction with the patient’s breathing cycle, only providing oxygen as needed. For the most part, on-demand POCs work on settings that are consistent with a liters per minute (LPM) delivery format. The device utilizes a bolus system, which is measured in milliliters. The bolus size is calculated based on the quantity of oxygen inhaled, if the person was on a continuous flow of oxygen. That consistent amount of oxygen is then delivered during the patient’s inhalation phase of respiration. This technology removes the inefficiencies of wasted oxygen that is unnecessary during the exhalation phase. An important feature to consider when purchasing a portable concentrator is the quantity of oxygen that is delivered and the mechanism by which it is delivered. Patients will typically receive oxygen in a pulse mode, meaning air will be delivered in a puff vs. a continuous stream. Others will require a continuous flow system. Clinical studies conducted with on-demand portable oxygen concentrators have found that they are equally as effective as continuous flow oxygen concentrators. A few of the larger portable oxygen concentrator models are capable of operating in continuous-flow mode as well as a pulse-flow mode. Continuous-flow mode is considered by providers to be safe to use while sleeping, provided it is used in conjunction with a CPAP machine. It is important to know that on-demand or pulse-flow oxygen concentrators should not be used by patients during sleep. In addition, the on-demand unit is not suitable treatment of patients with sleep apnea who require oxygen therapy as part of their treatment protocol. Oxygen concentrators do not provide an apnea alarm and as such cannot help in this facet of sleep apnea treatment. Portable oxygen concentrator units have come a long way since the ones that existed before the year 2000. Of the portable oxygen concentrators, currently marketed in the United States, they each provide a variety of dosing algorithms and oxygen production capabilities. The features and benefits noted by consumers as being most important to them in their purchasing decisions are: weight of the device, battery life, noise level, and packaging. There are a number of medical insurance carriers, including Medicare, that covers up to 80% of the cost of oxygen therapy equipment. Portable oxygen concentrators are similar to any new technology that is introduced to the market and extended battery life is one of the areas that researchers are working to improve. Current POCs maintain a battery life of 3-8 hours, depending on the individual patients' liter flow settings. Developers are also working towards a silent compressor motor, allowing for minimal noise pollution in confined spaces. Aesthetics are also being taken into consideration by manufacturers. Providing a cosmetically acceptable product has become of greater significance, since the units have become more portable. By enhancing performance features, manufacturers have enabled recent designs to be more durable and able to maintain oxygen saturation better. This case study illustrates the importance of the POC being as lightweight as possible. One of the most significant factors, when deciding which POC to purchase, is how easy it is to ambulate with the device. Alida is a young oxygen patient that has a rare lung condition, causing her to need supplemental oxygen. It’s very challenging for an adult to use a POC, so you can understand how hard it is for Alida, who is only 3 years old. Alida's family was able to come up with a way to help her that was both touching and brilliant: they brought home a service dog to follow her around and carry her portable oxygen tanks while she plays. The size and weight of Alida’s unit was obviously a factor, given that her service dog would be the one carrying it. Alida’s family was able to purchase a small device that allowed her to ambulate at will and didn’t produce undo physical strain on her service dog. The child’s prognosis is expected to get better as she grows, but in the interim, a compact oxygen source is changing the way Alida lives her life. 2. National Institutes of Health: National Heart, Lung and Blood Institute. http://www.nhlbi.nih.gov/health/health-topics/topics/oxt/. 3. Oxygen Concentrator Store. How Oxygen Concentrators Work. http://www.oxygenconcentratorstore.com/reference-material/how-concentrators-work/. 4. Federal Aviation Administration. FAA Approved Portable Oxygen Concentrators - Positive Testing Results. http://www.faa.gov/about/initiatives/cabin_safety/portable_oxygen/. 5. Consumer Ratings and Reports for Oxygen Concentrators. The Rise of Portable Concentrator Manufacturers. http://oxygenconcentratorratings.com/the-rise-of-portable-concentrator-manufactures/. 6. McCoy, Robert. Portable Oxygen Concentrators’ Performance Variables that Affect Therapy. Research. August 2012. 7. Reportsnreports.com Portable Oxygen Concentrator: Market Shares, Strategies, and Forecasts, Worldwide, 2013-2019. WinterGreen Research. July, 2013.